Open House for Barnardo’s 150th Anniversary! 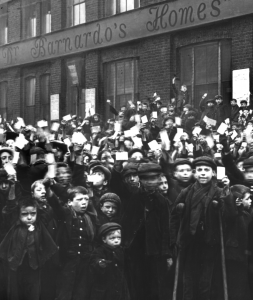 Barnardo’s & Ragged School Museum have teamed up to celebrate Barnardo’s 150th anniversary. Join us on Saturday 7th May for our Open House including Victorian lessons to transport you back to the time of Dr Barnardo! Comments Off on Open House for Barnardo’s 150th Anniversary! «Just why does Victorian science rule?